Let's face it, the Jaguars are to football what sandlot leagues are to the MLB. They are financially challenged, arguably the least popular team in the league, reside in the fourth smallest market in the league, haven't had a winning season since 2007, they haven't won their division since 1999, have never been to the Super Bowl, and are constantly rumored to be moving to Los Angeles. They have an enormous 76,877 seat stadium that is never full, resulting in local television blackouts that erode what little fan interest they have with the 1.4 million people in the Jacksonville metro area. In other words, they are the underdog of all underdogs. And so is Shahid Khan. 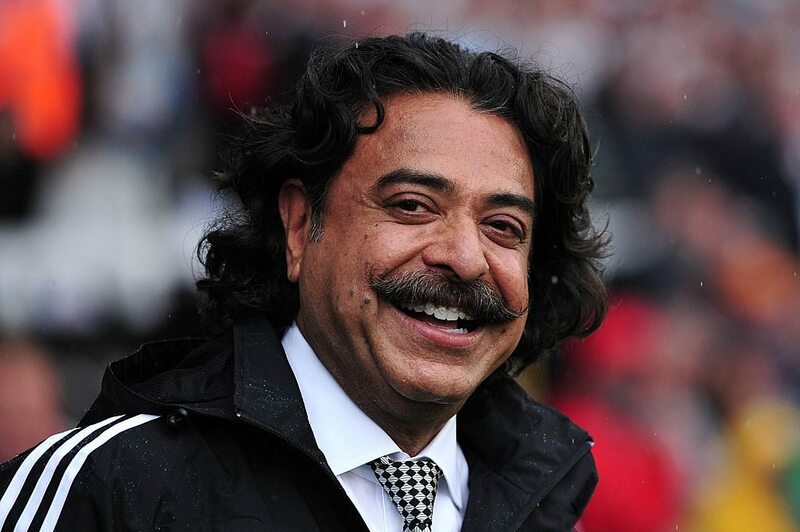 Shahid Khan is a man who knows how to get things done. The underdog finally has someone to champion their cause. And Khan has a plan. Shahid Khan arrived in America from Pakistan as a 16-year old engineering student at the University of Illinois. He arrived in Champaign in the middle of an Illinois winter, with a blizzard swirling around him. He had no place to stay and $500 to his name. That $500 represented his family in Pakistan's entire life savings. The dorms were not open yet, so Shahid found a room and a meal at the local YMCA for $2 a night. Spending the money made him nervous, so he took a job in the YMCA's kitchen where he washed dishes for $1.20 per hour to recoup some of the money spent on room and board. This was a revelation to him, as that meager $1.20 an hour was more than 99% of the people in Pakistan made. Once he moved into his dorms at the University of Illinois, Khan threw himself into his studies and college life. He joined the Beta Theta Pi fraternity. He met a girl named Ann Carlson who would eventually become his wife and the mother of his two children, Shanna and Tony. A month before he turned 21, Khan graduated with a Bachelors of Science in Industrial Engineering. He elected to take a job in Champaign with an aftermarket auto parts company called Flex-N-Gate . The year was 1971. Khan spent seven years overseeing production at Flex-N-Gate and he didn't like what he saw. Their bumpers were inefficiently manufactured. He used his background in engineering to tinker with the process and make it less complicated. What he eventually came up with completely revolutionized the business. Rather than making a bumper from a bunch of different parts, Khan came up with a design that was crafted from a single piece of steel, slimming down a truck's rear end and improving the vehicle's fuel efficiency. In 1978, Shahid took out a small business loan and set up shop for himself. He called his new company Bumper Works and customers flocked to him from the get go. General Motors needed his bumpers to help them slim down their Chevy LUV pickup truck to make weight requirements. Chrysler needed to lighten up its Dodge D50. Both trucks sought Khan's slimmer, lighter bumper to solve their problems. However, Flex-N-Gate wasn't going to let Khan go and set up a competing shop so easily. They sued him for stealing trade secrets. Knowing an injunction would cripple his new company before it ever really got off the ground, Khan hired the cheapest attorney he could find and then spent nights in the law library at his alma mater, crafting a defense after long days overseeing production at Bumper Works. This legal battle went on for two years. Khan won each case, fighting them instead of settling. The strategy paid off. After the Illinois Supreme Court declined to hear Flex-N-Gate's second appeal in 1980, Khan bought out his former employer and nemesis entirely. Even outside of this costly lawsuit, Flex-N-Gate had been losing $50,000 a month. It was bleeding cash and assets just as Khan's company was taking off. That was one competitor down. Khan combined Bumper Works and Flex-N-Gate and made a list of his competitors. (He would carry this list of 19 companies around until one by one, they all went out of business). Soon after, a deal with GM threatened to put his business under. They wanted to use Khan's bumper design across their entire line of vehicles. There was no way Flex-N-Gate could ramp up production fast enough to make that happen. GM had his design and would use it, they had no use for the small business Khan founded. But Khan wasn't going to let it go that easily. Isuzu was going to begin importing a low volume of cars and trucks to the U.S. Khan asked GM to put him in touch with Isuzu. They did. Khan turned to his alma mater once again, hiring some Japanese computer science PhD students to travel with him as interpreters. He slowly gained the trust of the Isuzu executives at just the right time. The Japanese car makers were about to make their push into the U.S. markets in a big way. They needed suppliers. As the Japanese import market grew, Khan's business grew with them. After he landed Isuzu, Mazda soon followed. Then, he hit the big time, landing Toyota as a Flex-N-Gate client. By 1989 he was their sole bumper supplier. Khan is Flex-N-Gate's sole shareholder. By 2001, the company's sales were topping more than $1 billion per year. Not everything has gone smoothly. There have been some tax issues along the way relating to tax shelters and back taxes. But all that has been resolved. Today Flex-N-Gate's parts are in more than two-thirds of the 12.8 million vehicles sold in the U.S. every year including models from all three big American automakers. In essence, Khan conquered both Japan and Detroit. But still, how does a Pakistani immigrant end up owning an NFL franchise? Remember, Khan moved to the U.S. as a 16-year old. He went to college in Illinois. That's where, at the Beta Theta Pi house, he became a football fan. The Illini and the Bears are his teams. He was as passionate a football fan as any red blooded American born fan. As Khan's wealth grew, he periodically checked the present valuations of NFL teams, wondering if he was rich enough yet to buy one. He had ideas as a fan as to what this team or that team should be doing to be more successful. Then he reached a point where he realized financially, ownership might become a possibility. In 2010 Khan won the bidding for a 60% stake in the St. Louis Rams. However, real estate billionaire Stan Kroenke, who held a minority stake, had the right to match any offer for the rest of the franchise. At the last second, Kroenke exercised that right, shutting Khan out. In total Shahid spent more than two years negotiating his deal for the Rams. All for nothing. There turned out to be a silver lining to that deal going sour. Right after Khan lost out on the Rams, Jacksonville Jaguars owner Wayne Weaver approached him to let him know he wanted to sell his team. Weaver was tired of fighting the inherent difficulties in the Jacksonville market. Even back in 2010, the Jags were considered the franchise most likely to relocate to America's second largest metro area – the one who has not had an NFL team since 1995 – Los Angeles. Khan had learned a lot from the Rams deal and when the opportunity to purchase the Jaguars was presented, he moved fast. In October 2011, the final price for the Jacksonville NFL franchise was hammered out on a cocktail napkin in the bar of the Omni Jacksonville Hotel. Khan agreed to an all cash deal of $620 million plus he would assume the $150 million of Jags' debt. He took out $300 million in loans against Flex-N-Gate to make the deal happen. As owner, Khan set out to turn the Jaguars around not just on the field, but amongst the fans. He wants to shake the reputation the Jaguars have as a failed franchise. They've offered a number of promotions under Khan's ownership – like college themed nights for Florida Gators fans that include a meet and great with Gator alumnus Tim Tebow, the ability for fans to bring outside food into the stadium, and free admission for toddlers. In the summer of 2013, Khan bought another troubled professional sports team– the London soccer club Fulham F.C. of the Premier League from Mohamed Al Fayed. The deal was finalized on July 12, 2013 with the amount estimated between $150–200 million, the official purchase price was not disclosed. Fulham faces similar perception issues as Jacksonville does. Khan is up for the challenge. Khan realizes he is the epitome of the American dream. He worked hard, tenaciously created his own luck, and built a $7 billion dollar personal fortune. His flowing black hair, handle bar mustache, and sunny smile reflect the deep satisfaction Khan has with what he's been able to achieve. While much of the manufacturing industry in the Midwest's rust belt deteriorated over the last 40 years, in that same time period Khan built a multi-billion dollar company from the ground up, becoming one of the biggest automotive parts suppliers in North America. Khan employs more than 13,000 people at 52 factories around the world. 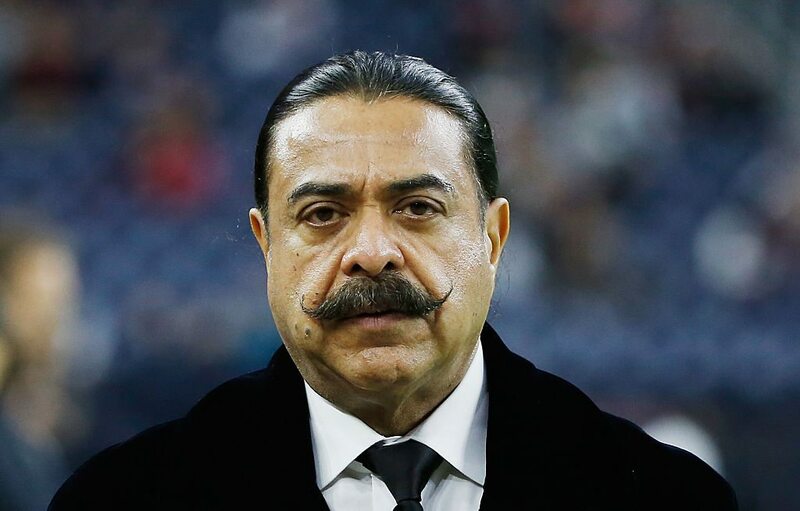 Shahid Khan is one of the greatest American rags to riches success stories of all time.